This is the complete set of Battlemaps covering the whole Cottonmouth, the slave ship introduced in Blood Runs Cold adventure module. 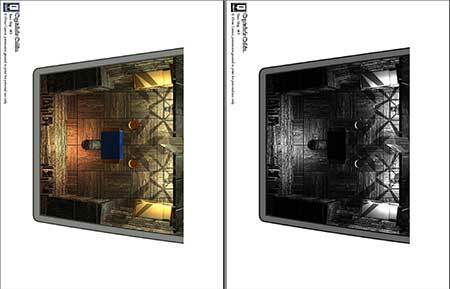 These battlemaps provide you plenty of space to customize and expand the adventure or to create one yourself as the Cottonmouth could be easily adapted to other adventures. 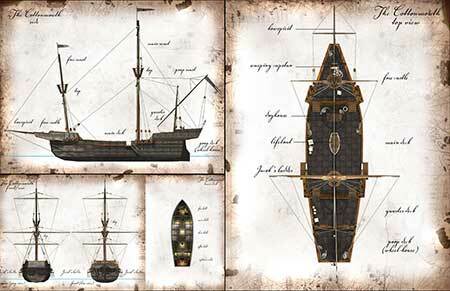 In this accessory you will find 11 gorgeous battlemaps, one for each location of the Cottonmouth, plus the complete ship's floorplans. This accessory features the amazing rendered 3d maps produced by Øone Games. The maps come with 1 inch square grid and are suitable for miniature and role playing games. You will find, of each map, two versions: full color and grayscale (optimized for B&W printing). Starting with this product we’ve dropped the line-art section. 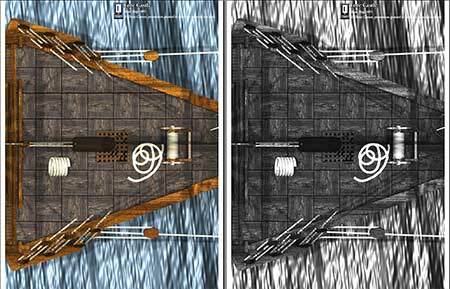 This is due to the fact that all of these battlemaps come with a stunning 150 dpi resolution. This will give you an incredible print quality. Each map is printable on a single sheet of paper. You can print out the map you need in full color, or choose its grayscale-optimized version if you do not want to consume too much ink. Even if you decide to print them in color, these battlemaps will be always more cost-effective than a printed version, as you can print out just what you need... even multiples of your favorite ones. These maps are so detailed that simply looking at them can give thousand of ideas for your own games. Why does a blade of blue light filters through the captain’s cabin entrance? What kind of valuables were in the main hold, or who is imprisoned in the slave hold? You know the answer, and your players will soon discover it. Beautifully presented in both greyscale and full colour, thi ..